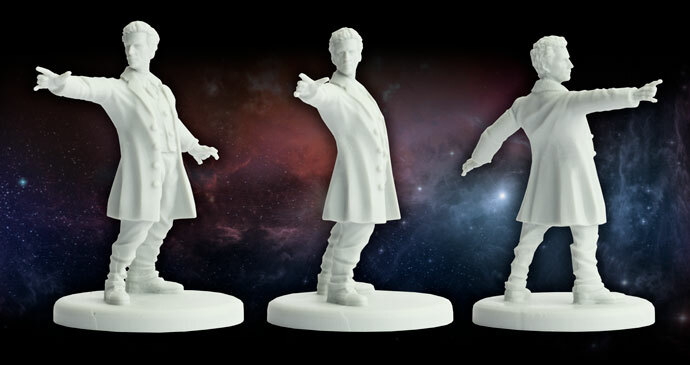 This week we are taking a closer look at the Twelfth Doctor. “There's no such thing as the Doctor. I'm just a bloke in a box telling stories. I didn't come here because I'm ashamed. A bit of shame never hurt anyone. I came because you're sick and you asked. And because sometimes, on a good day, if I try very hard i'm not some old Time Lord who ran away. I'm the Doctor." When creating the cards for the Twelfth Doctor and Clara I wanted the rules to portray their story, their connection, as well as who they are in the show. Every aspect of their cards is a reflection of who these characters are and what they mean to me a fan and a game designer. This is something I strived to do with every card. Every ability, dice symbol and rule in the game comes from somewhere in the show. 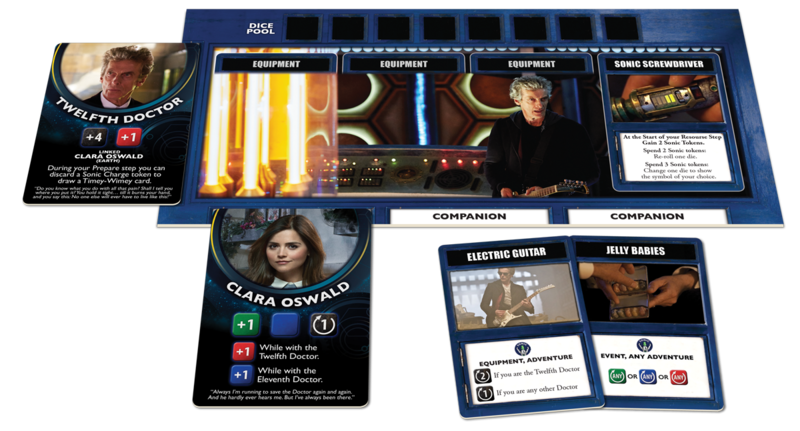 The Twelfth Doctor in the game is quite flexible, allowing him to trade Sonic Charges for extra Timey-Wimey cards. The Twelfth Doctor has a red die in his starting dice pool; this is a rare color of dice for a Doctor to start with and gives him an edge over the other Doctors. This regeneration of the Doctor keeps on showing the fire that drives the Doctor, from his speech on war to those moments of introspection. When paired with Clara the Twelfth Doctor has access to all three color Story Dice. 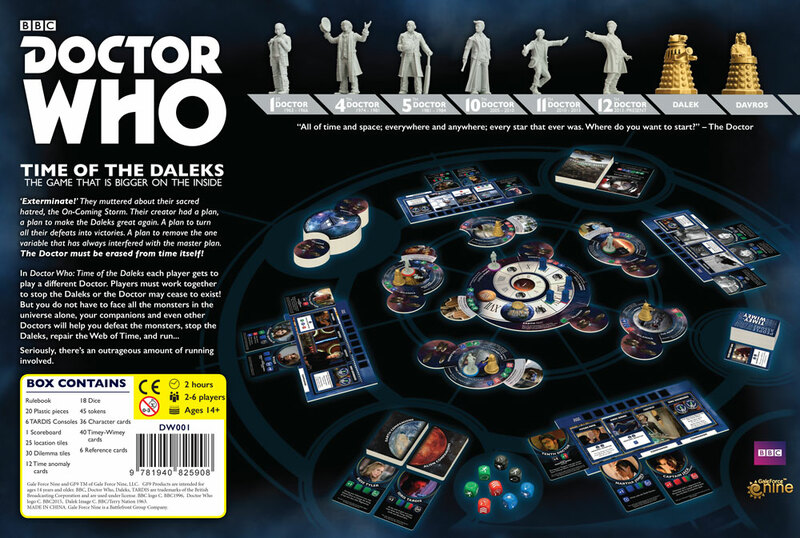 The Twelfth Doctor starts the game with Clara Oswald; linked to her so he can also quickly can find her if she gets shuffled back into the companion deck. Clara complements the Twelfth Doctor giving him access to all the colored story dice and a large starting dice pool of seven dice, something very few companions in the game can do.